Get that fancy dress costume out of the wardrobe for it is that time of year again… SPOOKULELE IS AROUND THE CORNER! Grab your tickets now for the funnest and most terrifying Halloween party in town! There’ll be top quality tunes from Otley Ukulele Orchestra, a vegetarian curry supper and prizes for most hideous fancy dress. All over 18s welcome… see you there ! Tagged as halloween, KORKS, spook-u-lele! OUO to appear at Otley Folk Festival! 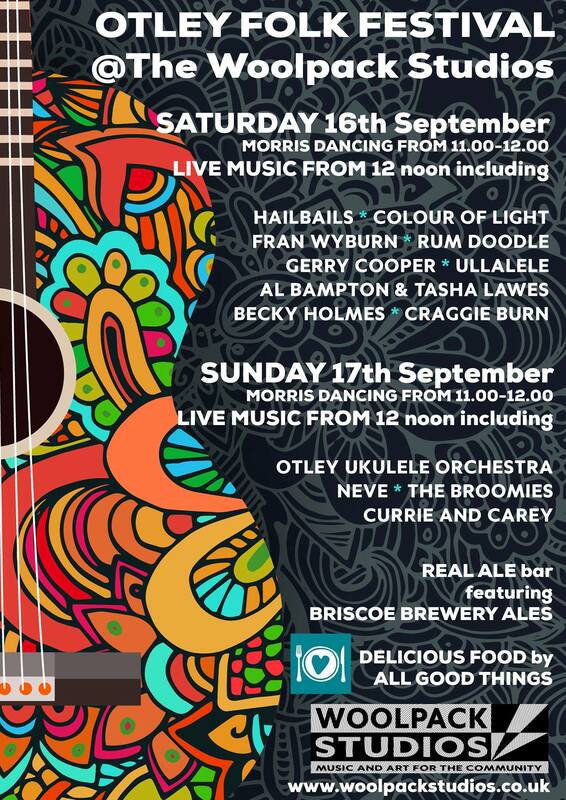 Come and see us play outside The Woolpack Studios as part of this year’s Black Sheep Brewery Otley Folk Festival! We’re kicking things off 12pm on Sunday 17th. We’ve got a great set together so come and see us! On Saturday, there’ll be. few familiar faces performing too… Debra, John, Tom and Dean have been working on an arrangement of War Of The Worlds on ukulele called (wait for it) ULLALELE! We can’t wait to see them in action! Also you’ll recognise other OUO players performing in different groups: Simon Carey with Currie and Carey – Simon will be playing harmonica and mandolin in addition to his trusty Uke! The Broomies will also be making an appearance with their ukulele, guitar and vocal loveliness!